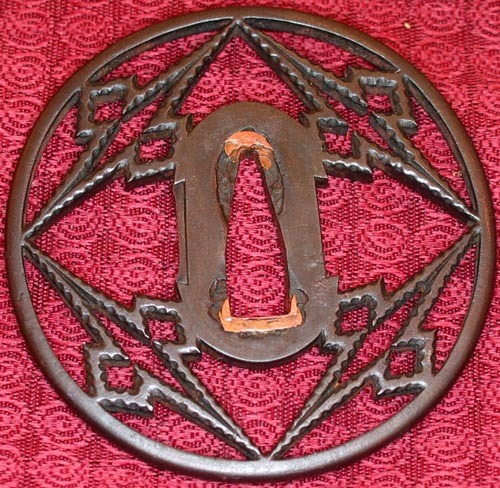 This tsuba is a masterpiece and one of the most pleasing iron tsuba I have ever owned. 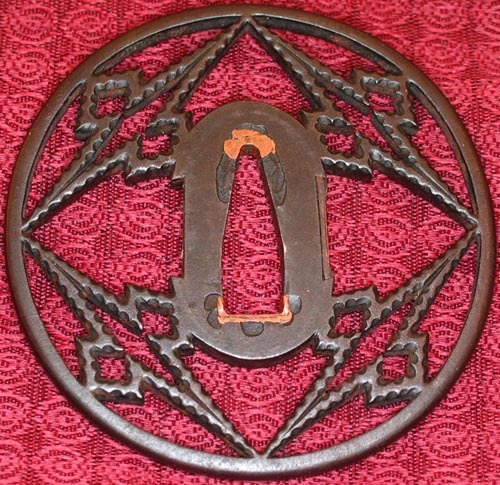 This tsuba measures 3" by 2 15/16". I guarantee you will not be disappointed to own this piece.